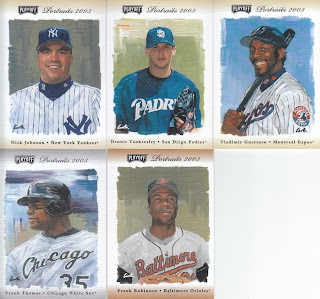 The Daily Dimwit: March 2012 Group Break - Boxes 3 and 4!!!! And of course, the scans after the page break! These be the rookies and parallel (silver and gold) from the box. I don't think I realized we got 3 silver parallels in the video!!! Sammy, Jose and Andrew! 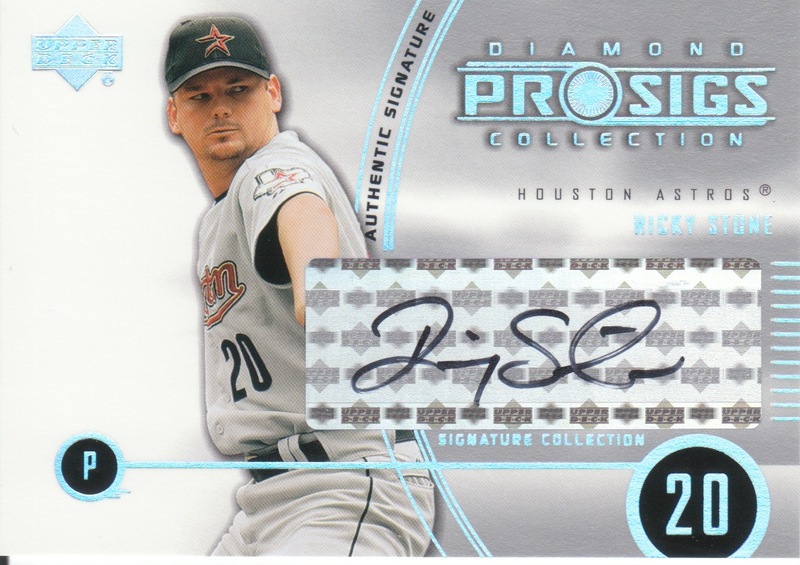 The autograph from the Pro Sigs box... yea, I made out like a bandit on this break... I actually really wish this had been a better player for a different team to spread the love around a bit! Here are the parallels from the Playoff Portraits box... great Robinson and Thomas cards for sure! The Nick Johnson was actually attached TO THE BOX on the outside, it almost got thrown away, and then I realized it would peal off! 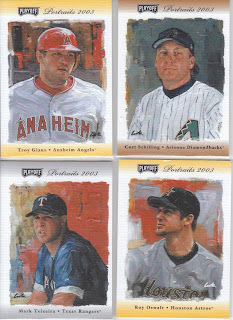 Once again, I have to say that I love the fronts of these cards! AWESOME artwork!!! 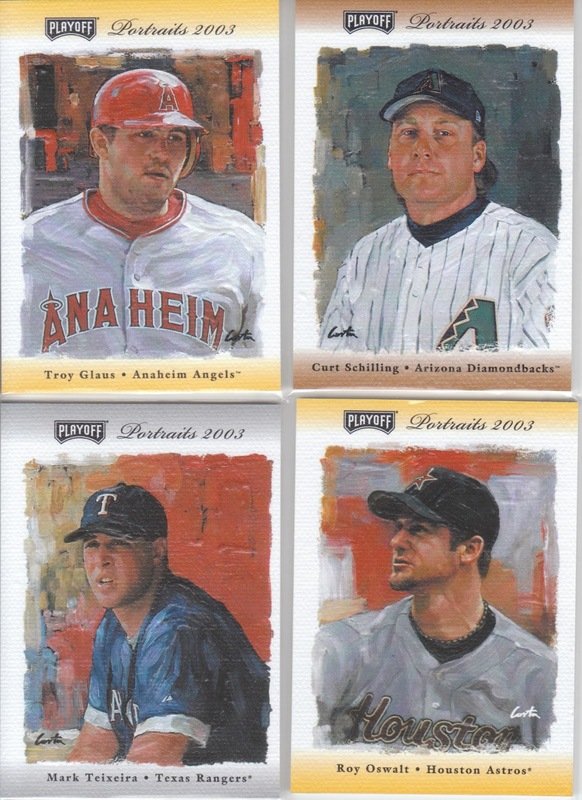 Wow, a /10 Glaus, /100 Schilling, /15 Big Tex and /25 Roy O. Again, I know, I monopolized the break a bit... I guess that makes up for the other breaks where I basically swing and miss a lot!!! There is of course the problems with the glue on these, I've had all four laying flat under a number of very heavy books the last 24 hours and that seems to have helped at least temporarily. 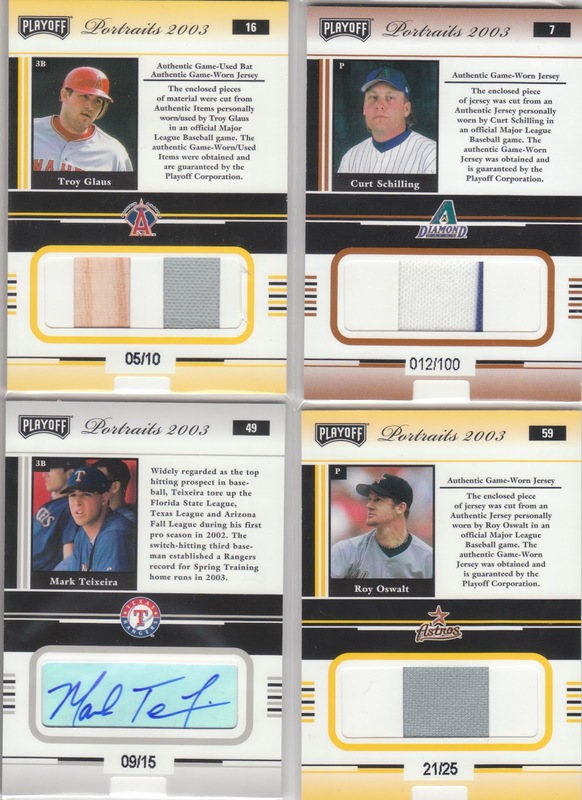 I did figure out that the relics/autos ARE supposed to slide down/out of the card, but the Oswalt doesn't do that very well so I haven't tried it on any of the others. These may be better off in a hard case for the rest of eternity! The Oswalt basically fell apart in my hands last night, and is managing to stay together a bit. 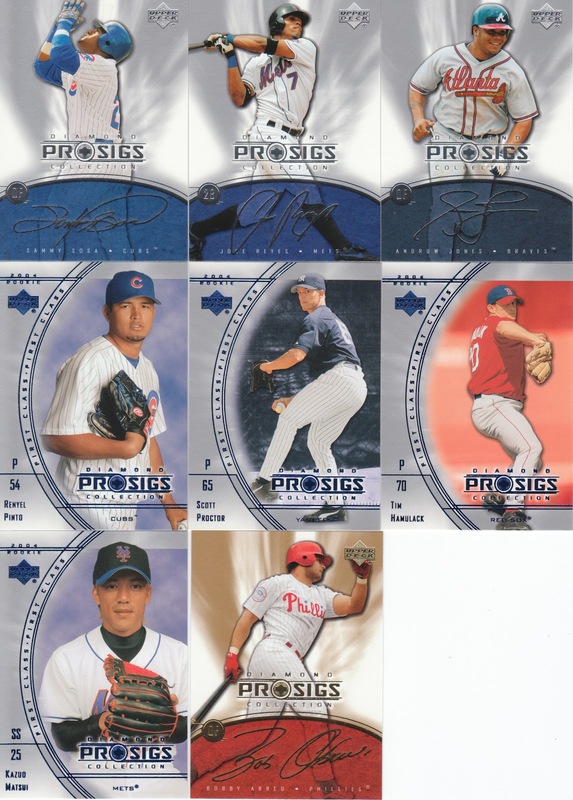 There is a bit of damage on the Glaus (a slight tear on the top and bottom of the side right next to the right side of the jersey swatch as well). Great relics all the way around though. This may be a product I bust again in the future! Anyways, unfortunately the way it all shook out, all 8 hits will end up in the hands of 4 collectors: Myself, PlayAtThePlate, Arpsmith and Jaybarkerfan. I hope everyone enjoyed the break and the videos! Sweet Schilling! Come to Papa!